It’s #humpday and time for you to stand a chance to win a R500 Hollywoodbets voucher! All you have to do is answer the below question! 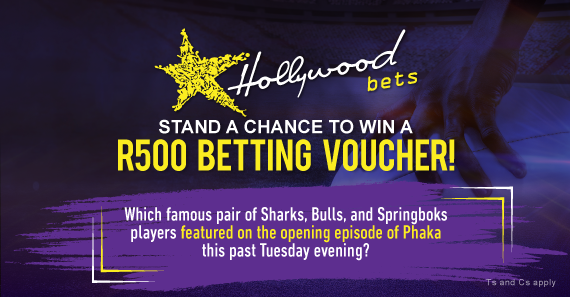 Which famous pair of Sharks, Bulls, and Springboks players were guests on the opening episode of PHAKA this past Tuesday evening? Watch the repeat of this episode on SS4 at 18:00 on Thursday 14 February 2019! Entries on Facebook must be posted to the official Hollywoodbets Facebook post in the comments section. The winner will be announced on Friday 15 February 2019. Terms and conditions apply. Phaka Show Facebook promotion – Win a R500 betting voucher. This competition will run from Wednesday, 13 February 2019 – Friday, 15 February 2019 at 08:00am. Entries must be received by 08:00am on Friday 15 February 2019 (the “Closing Date”). 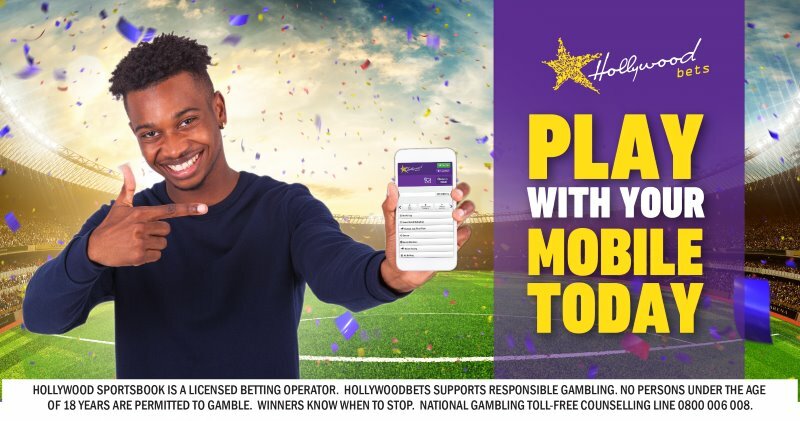 Hollywoodbets accepts no responsibility for any entries that are incomplete, illegible, corrupted or fail to reach Hollywoodbets by the relevant closing date for any reason. Proof of posting or sending is not proof of receipt. Automatically generated entries or entries via agents or third parties are invalid and shall not be considered. To enter the competition, the contestant must answer the following question correctly. Which famous pair of Sharks, Bulls, and Springboks players featured on the opening episode of Phaka this past Tuesday evening, 12 February 2019? The winner will be announced on Friday 15 February 2019.